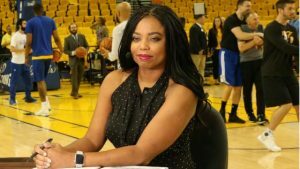 As you know by now, ESPN personality Jemele Hill was reprimanded by the network for tweets she sent on Monday, referring to President Trump as a white supremacist. There have been calls for her firing, including from the White House. Wednesday night, Hill apologized for the tweet and ESPN accepted, likely meaning the matter (for now) seems to be closed. Now as I said before, if you want to stay in the media business, you have to avoid politics on social media at all cost. Mark Giangreco was suspended for a tweet about President Trump a few months ago, but it was more jokingly in nature. Neither man – both white – were disciplined by their respective employers. In fact, Walsh recently sent a tweet saying the only reason African-Americans voted for Barack Obama because he was black. Meanwhile, HBO recently gave Maher a three-year renewal at the network. There is no doubt President Trump has surrounded himself with white nationalists – notably Steve Bannon, who he “fired” several weeks ago. And his actions after the attacks in Charlottesville – and his refusal to condemn actions by the Ku Klux Klan and other nationalist groups. And we all know Trump was elected on using a platform using Chicago’s crime epidemic as a code word for “black”, knowing the previous President was from here – he and other conservative commentators only pretend to care about the homicide epidemic on the South and West sides of the city, reminding their base how “those people are running amok there“, even after he won the election. It’s like running up the score in a blowout. This controversy comes at a time when the media business is under scrutiny for handling diversity, which I pointed out on this blog on numerous occasions. Recently, Agents of S.H.I.E.LD star and Chicago native Chloe Bennett blasted Hollywood for its racism, after the Hellboy reboot recast a white actor for a role meant for an Asian-American in a “whitewashing” scandal. It would’ve been a disaster if ESPN fired Hill, as the network could’ve faced angry protests and boycotts from the African-American community – something CBS-owned WBBM-TV had to endure in 1985 after the station demoted Harry Porterfield, with its effects still being felt today – even after he returned to the station in 2009. ESPN made the right call. If people like Maher and Walsh can keep their jobs, she should keep hers as well.